I have a weird situation that’s making things a little bit more difficult. While abroad, I’ll continue to work for the online marketing agency I’m working for now. I’ll be paid the same, work on the same US client, at the same US company just fewer hours. But that means I have to think about how this impacts my visa, taxes, and health insurance. So far I’ve had a lovely chat with a tax guy and reached out to someone who had a similar situation. As far as taxes, there don’t seem to be any implications. They would be paid as normal through the US. There would be no need to pay France for the income made since it is through a US company for a US client. I’m still looking into it but it seems like one item might be crossed off the list. 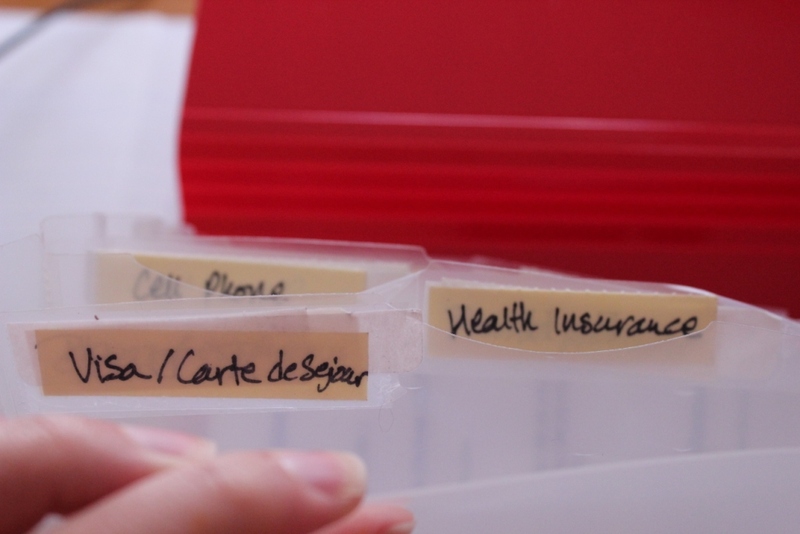 A little peek at the accordion binder I’ve started… A tab for each topic! I’ve also been pinning helpful articles on my Paris Pinterest board that would help with moving abroad or visiting Paris. How exciting!! I think I’d be terrified to move to another country, but it’s definitely something I want to do haha. I’m thinking England for a bit and maybe America. Have you spent much time in France before? Thanks Courtney! It is exciting and scary at the same time. I studied abroad in Paris while I was in college and have wanted to go back ever since. I love the culture, food, and have totally become a francophile! I cannot wait!